Tansy has noticed a lack of nice tea to drink on Archaeological fieldwork projects. …and though ironing is not her favourite job, Tansy does know how to do it, and is willing to be domestic in an emergency! It won’t be a “pinkies out” kind of tea situation, but Tansy knows the joy of a really nice cup of tea at the end of a cold wet day in the mud! Oh how very thoughtful of you, Tansy! Your fav photographer will be so grateful for your thoughtfulness. Tansy hopes he will share a sip or two occasionally! 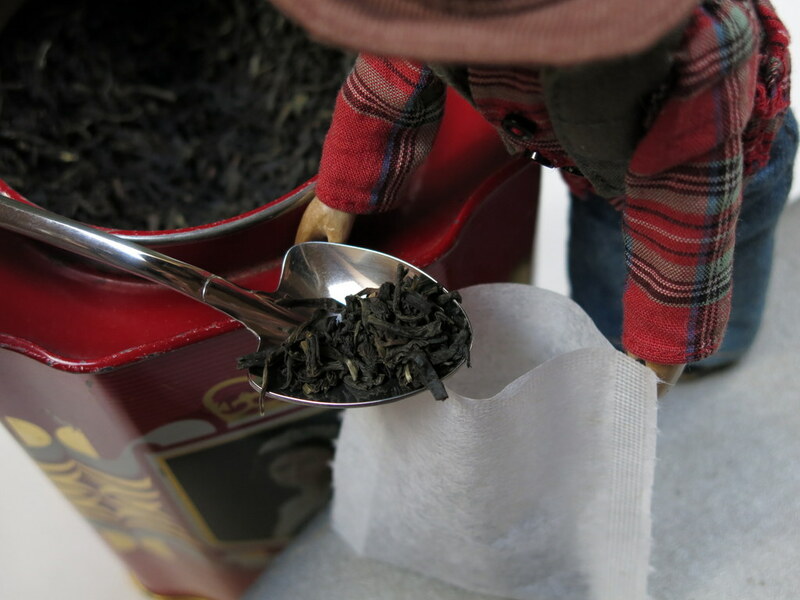 We were happy to have found the little “fill your own” tea bags! Dear sweet Tansy, you think of everything…no wonder that crew loves you accompanying them on their excursions. Tansy has a generous heart, and her companions always appreciate having her on the crew! Both are valuable members of the team! Tansy is looking forward to telling us all about it sometime in November! The rest of us will happily imagine the tea parties you will have…and at least a few of them will be with nice tea! Tansy you clever dear. 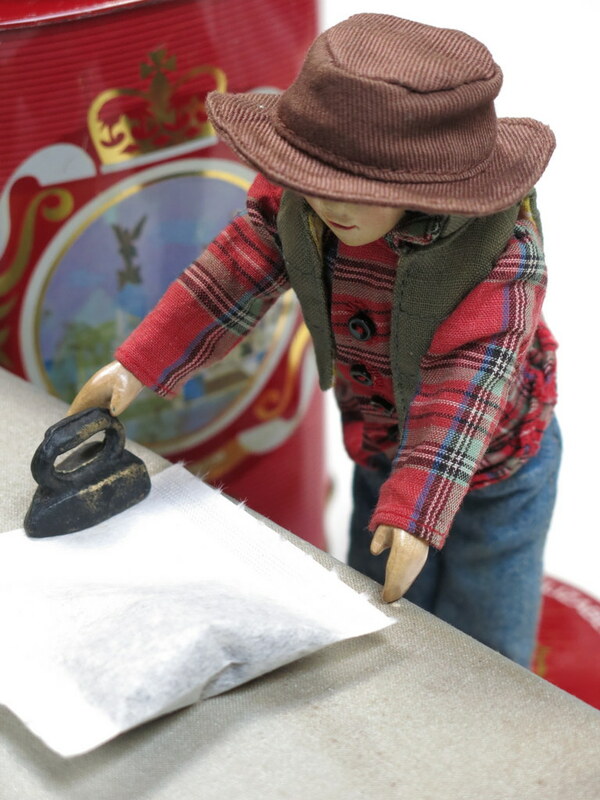 Making your own special tea bags…I am impressed. Your human is very lucky to have you thinking of him. Looking forward to hearing about the new adventures when you return to civilization. Tansy is a very thoughtful Hitty and knows that good food (and tea) makes a world of difference when one is out in an isolated camp situation…she does her best to keep everyone happy! Yum! Sandilands is great tea. And I love Tansy’s outfit. 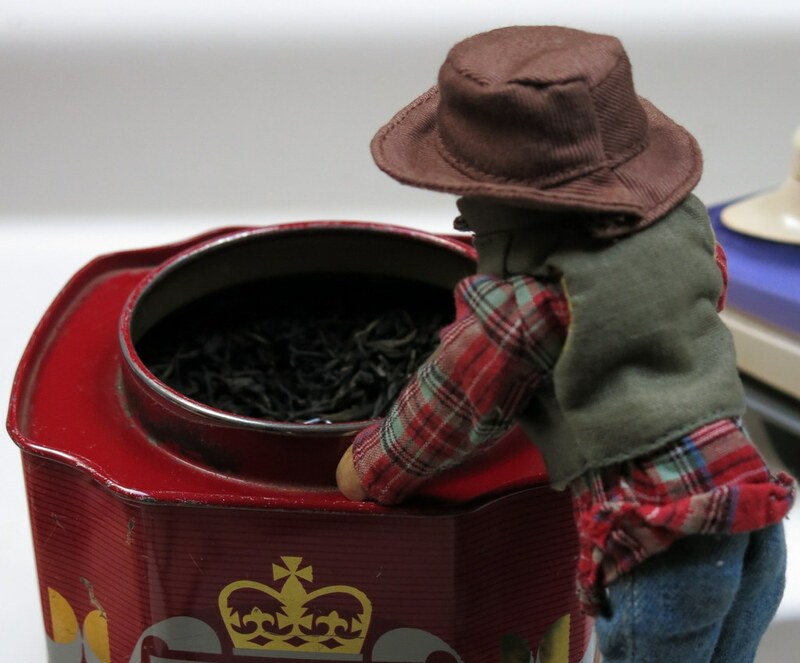 Sandilands tea is our very favourite tea of all. 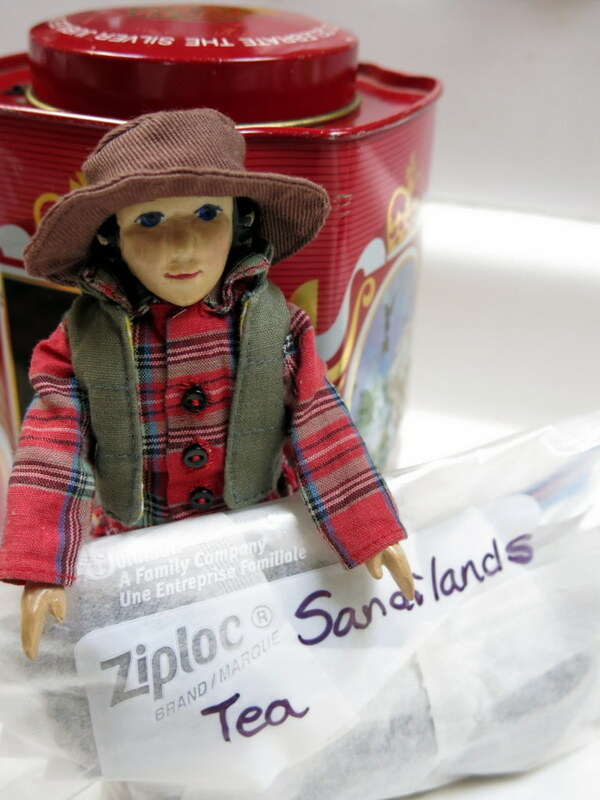 Tansy is almost all packed for the trip, but needs to dig out her warm sweater and the rain gear, and maybe a touque . So I had to try this new tea source. I am a bit boring, as I mainly drink black tea. But there is a wide variety of flavor in black tea. I ordered some of the Balmoral Blend. what blend do you prefer? Black tea is the staff of life! Ahh, is Sandilands a blend? I misunderstood. I did not see it listed, so will have to look again. LOL! The closest to Sandilands is, I think, Waterfront Tea…but Sandilands is THE best (according to the Quimper crew)! The recipe is in the little black binder behind the till in the Government St shop in Victoria, you never know they might mix some up for you!